Experience the best of hovercrafting, quad biking and clay pigeon shooting in a specially designed multi-activity day at Craigluscar. Includes professional instructors and equipment. Take a flight around the pasture at the helm of your very own 500cc mini-hovercraft. You will be kited out and prepared thoroughly before you run one round on our course for a uniquely novel and fun experience.You will start with practice laps then its you against the clock to see who can get the fastest lap. Once you are done with the instruction on controls and safety procedures test these machines to their limits by following an experienced leader over winding hill and forest tracks. You will see wonderful views over the Forth Valley and a variety of wildlife. The trek lasts for an hour and is suitable for all ages. 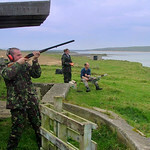 Now time for some Clay Pigeon Shooting action try your hand at some of the old school shooting at Craigluscar! With full instruction given and all equipment provided all you need to do is get yourself there. 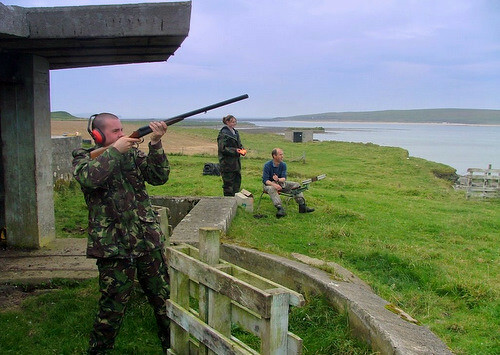 Clay Pigeon shooting is a total power trip the uncanny feeling very godly like is immense situated on a beautiful location this is something not to be missed.